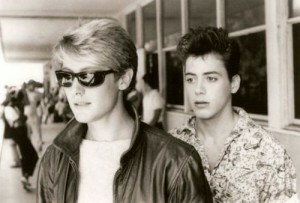 Robert Downey Jr. and James Spader worked together in 1985 on TUFF TURF and again in 1987’s LESS THAN ZERO. Those actors have been crossing paths forever. Robert Downey Jr. (Tony Stark/Iron Man) and James Spader (Ultron) first worked together back in 1985 in the low-budget youth drama TUFF TURF and again in 1987’s LESS THAN ZERO, based on the novel by Bret Easton Ellis. In 1994, Downey worked with Samuel L. Jackson (Nick Fury) in HAIL, CAESAR. In 1999, Jackson worked with Stellan Skarsgard (Dr. Selvig) in the shark thriller DEEP BLUE SEA. Jackson and Skarsgard reunited for 2002’s NO GOOD DEED. Although uncredited, Jackson appeared in 1998’s OUT OF SIGHT , which costarred Don Cheadle (James Rhodes/War Machine). In 2000, Jeremy Renner (Clint Barton/Hawkeye) worked with Alexis Denisof (the Other) on an episode of ANGEL, co-created by AVENGERS/AVENGERS: AGE OF ULTRON director Joss Whedon. 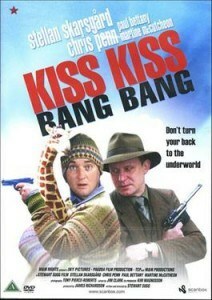 Paul Bettany (Vision/voice of Jarvis) and Skarsgard both worked on 2001’s KISS KISS (BANG BANG) , which is not to be confused with the 2005 KISS KISS BANG BANG starring Downey. Gwyneth Paltrow (Pepper Potts) starred in 2003’s VIEW FROM THE TOP, which also featured Mark Ruffalo (Bruce Banner/the Hulk). The two worked together again in 2012’s THANKS FOR SHARING . 2003 also saw Renner squaring off against Jackson in the feature film version of S.W.A.T. In 2004, Scarlett Johansson (Natasha Romanoff/Black Widow) acted in IN GOOD COMPANY, which featured her future S.H.I.E.L.D. ally Clark Gregg (Phil Coulson). 2004 was also the year of Johansson’s first teaming with Chris Evans (Steve Rogers/Captain America) in THE PERFECT SCORE. Johansson and Evans worked together again in 2007’s comedy THE NANNY DIARIES; that year also put together future Avengers-verse buddies Downey and Ruffalo in the fact-based serial killer drama ZODIAC. In 2006, Jackson worked with Anthony Mackie (Sam Wilson/Falcon) in FREEDOMLAND. Jackson then appeared in another potential comic book franchise with Johansson, 2008’s THE SPIRIT . 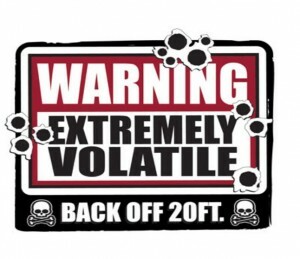 2008 also was the year of the Best Picture Academy Award-winning war drama THE HURT LOCKER, which earned Renner a Lead Actor Oscar nomination and saw a strong supporting performance from Mackie. 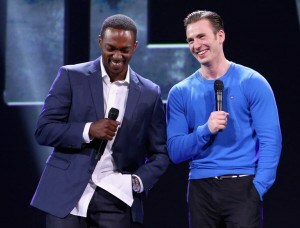 Anthony Mackie teamed up twice with Chris Evans, in 2011’s WHAT’S YOUR NUMBER? and in 2014’s PLAYING IT COOL. Mackie teamed up twice with Evans, in 2011’s WHAT’S YOUR NUMBER? and in 2014’s PLAYING IT COOL. Although they don’t share screen time in the avengers-verse, Elizabeth Olsen (Wanda Maximoff/Scarlet Witch) and Gregg are both in 2013’s VERY GOOD GIRLS. Olsen then played the wife of Aaron Taylor-Johnson’s (Pietro Maximoff/Quicksilver) character in 2014’s GODZILLA; they play siblings in the ‘Verse. 2014 was also the year that Downey and Johansson reunited with IRON MAN/IRON MAN 2 director/co-star Jon Favreau in CHEF, which Favreau wrote and directed. In 2015, Paltrow and Bettany were both in the comedy MORTDECAI . Bettany also made his directing debut with SHELTER, starring Mackie. In 2016, Olsen will be seen as the wife of Tom Hiddleston’s (Loki) Hank Williams in the musical bio-drama I SAW THE LIGHT. While Chris Hemsworth (Thor) has yet to appear outside of the Marvel Movies Universe with any of his AVENGERS colleagues, in 2012, he costarred in CABIN IN THE WOODS, which was produced and co-written by Whedon.